Morning presentations explore the theme of Me/NotMe/#MeToo from a variety of perspectives. In the afternoon, we are pleased to present a plenary with special guests Tim Dean PhD and Karol Marshall PhD focused on sexual boundary violations in psychoanalytic and academic communities. How do you fight in the depressive position? 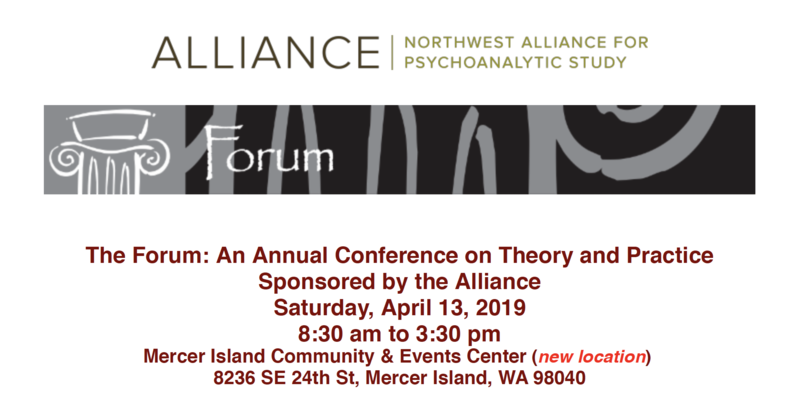 The plenary will center on two talks and a public dialogue between Karol Marshall, PhD, and Tim Dean, PhD, focusing on sexual boundary violations in psychoanalytic and academic communities. Please join us at the 30th annual Forum! Questions? Contact Gillian Vik, gillianvikma@gmail.com.